Need your coffee when you get up in the morning? Or feel like a cafe lunch? 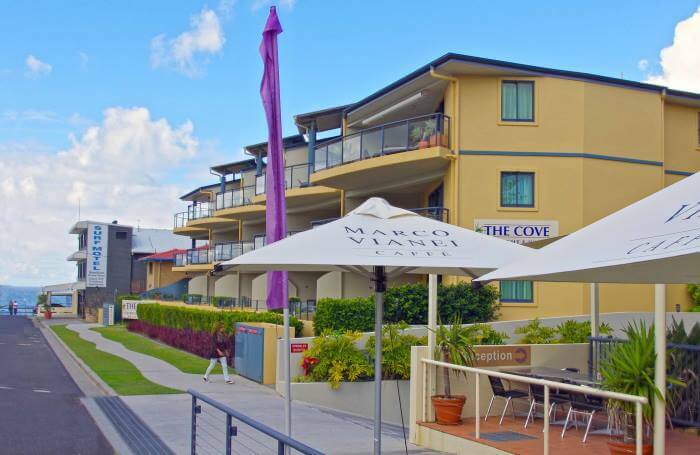 The Cove Beachfront Apartments are conveniently located right next door to Pippi’s Cafe and Bar – the perfect spot for a drink while you watch the waves.